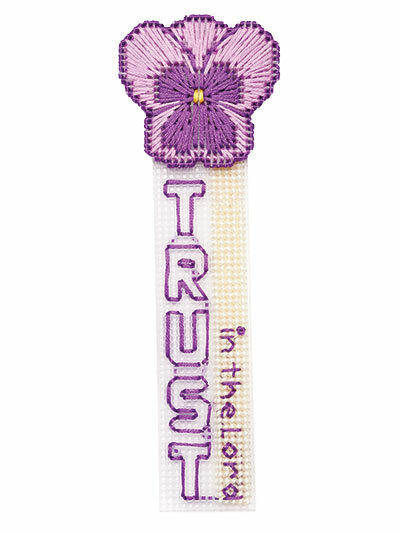 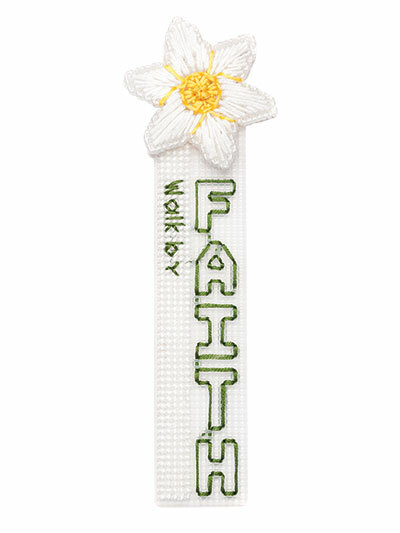 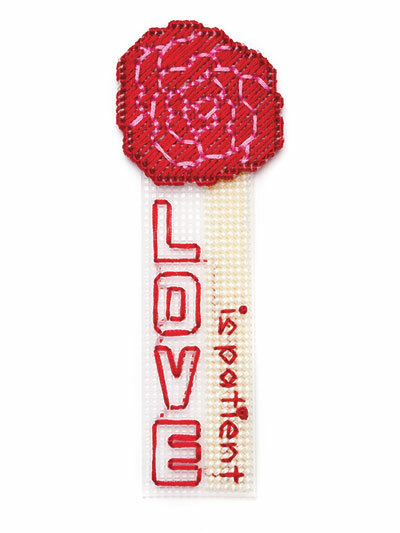 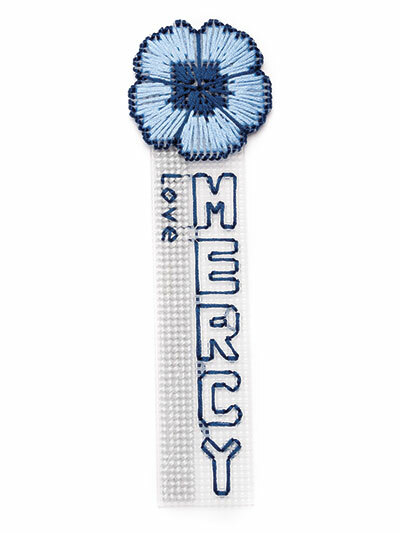 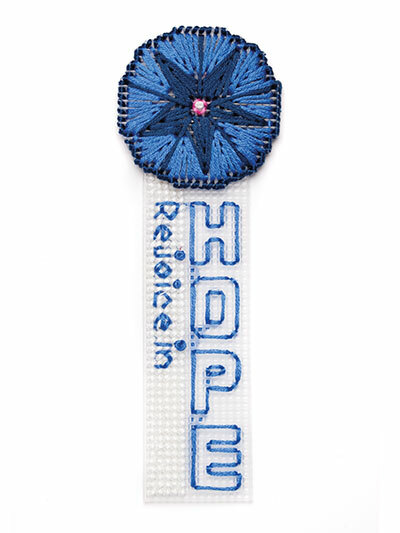 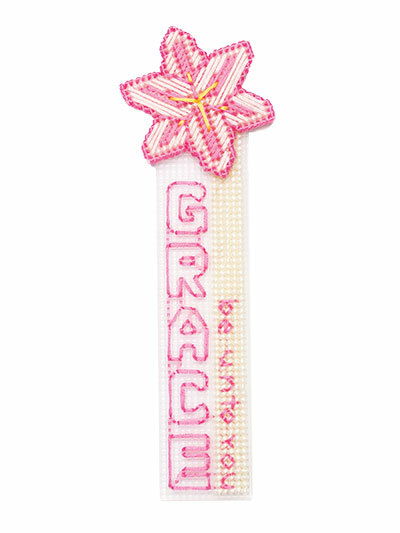 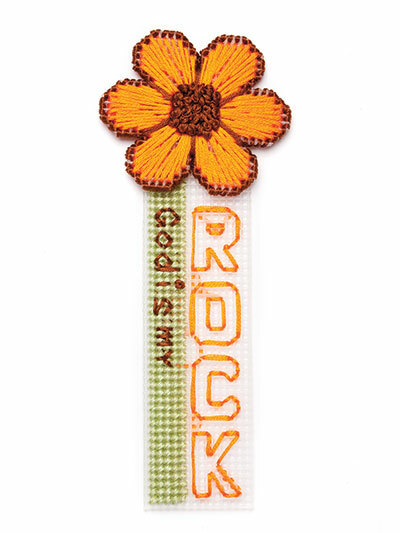 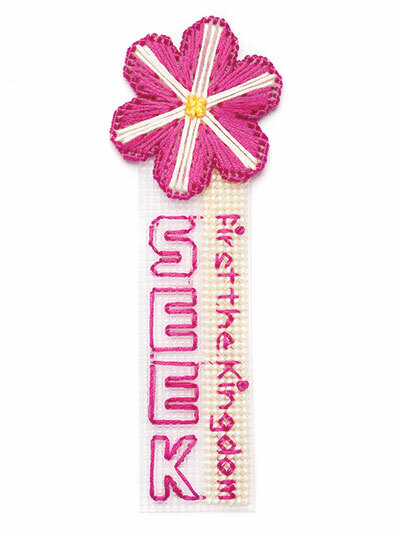 These 12 beautiful bookmarks are easy to stitch. 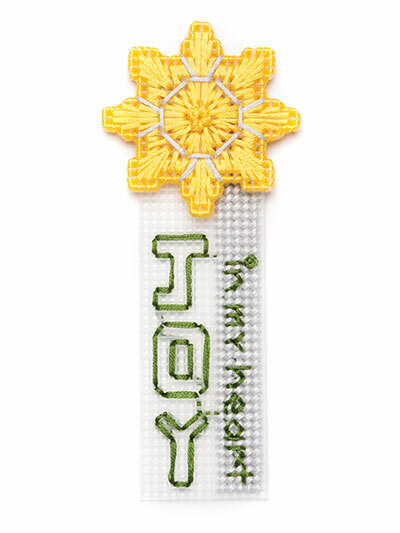 They are made using 10-count plastic canvas and embroidery floss. 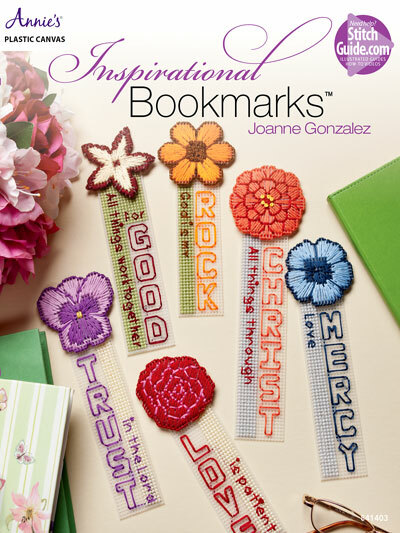 Each bookmark has a different flower and an inspirational saying. 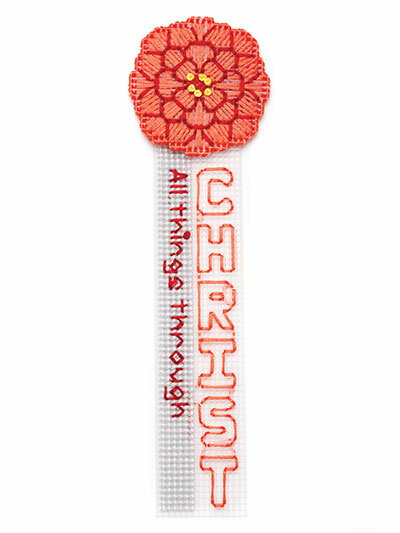 Great item for a church fair. 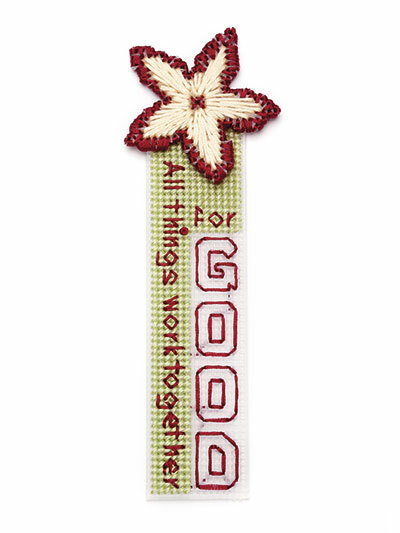 Sale really good yet cost little to make.